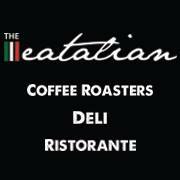 Located on the corner of 11th Avenue and Victoria Parkmore The Eatalian will be the NEW local Italian favourite. In the afternoon they will relax and enjoy the viby street activity while sipping on an espresso or a sundowners al Fresco we also have an assorted mix of wines in our cellars guests can revel in. Dine in the restaurant get the classic Italian regional cooking, light tasty thin base Pizzas and amazing specialty of the day. The vibe at our restaurant offers that authentic Italian ambiance furnished to perfection with rustic pieces and artwork which pay homage to our country of origin.